Description: Stick on your sports kit & head over to Aberdeen Sports Village for a fun afternoon of Olympic sports! As part of a team, you’ll work your way around our world-class facilities sampling four different sports that featured in this year’s Games. The event is open to youngsters from P1 – S6 (groups will be allocated based on age) and every participant receives a gift! Book your space now by calling 01224 438 900 or visiting reception. Time: Open 9:30am to 4:30pm each day! Description: All aboard for a Day Out With Thomas! Thomas the Tank Engine is back for 2016! A fun-filled day for the whole family. Better still. Once you are in, all of the attractions are included in the ticket price! – Make their day a Day Out With Thomas and book your tickets now! Description: The Celebrate Aberdeen weekend is back! After a hugely successful event in 2015 incorporating the third sector parade, live music and sport we are bringing the event back in August 2016. Celebrate Aberdeen is a unique celebration to be held in Aberdeen on August 27 and 28 and will involve the return of the popular third sector parade (Saturday 27 and Sunday 28th August), as well as a host of music performances to showcase local talent over the weekend! 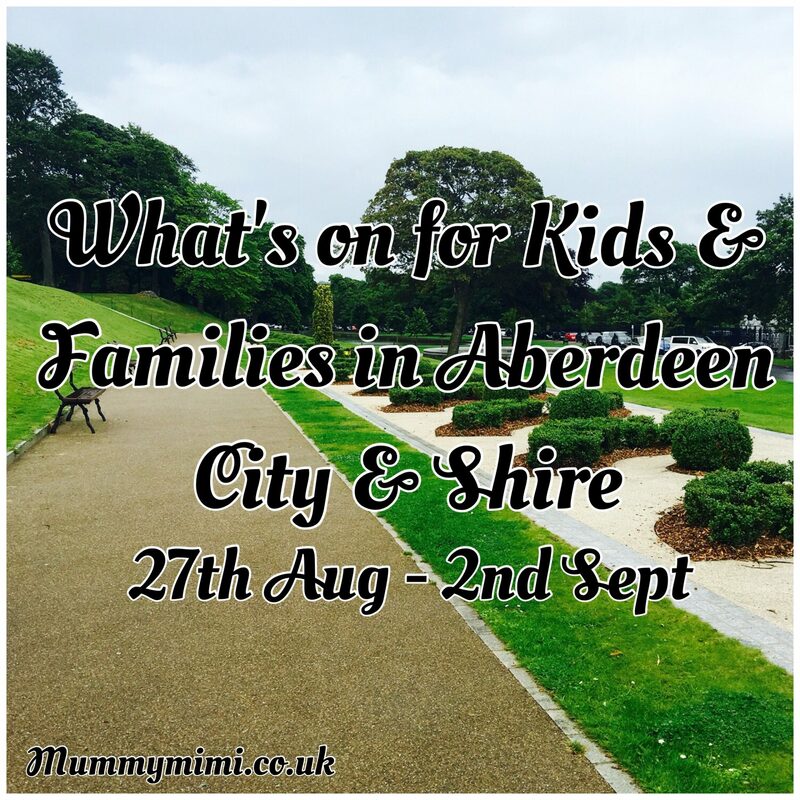 Come join in the fun and help Celebrate all the good things about Aberdeen this weekend! It’s FREE and it’s for everyone! Description: On the 27th August 2016, the popular Celebrate Aberdeen Third Sector Parade returns… You might be wondering ‘How can I get involved?’ Wonder no more. Aberdeen Science Centre needs you to join its team on the parade starting at 11.00am on Queens road. We will then proceed down Union street toward Castlegate. If you would like to participate, please join us at 10.30am on the 27th August 2016 – further details will be posted closer to the date. Description: It’s your chance to visit the recently renovated Carpenters Cottage Garden. See all the work the volunteers have been doing to restore this lovely space and get some ideas for your own garden. With treats from the NTS Tearoom and craft activities for the children – mask making and plant pot painting at only £2 for each activity. Price: £2 per child, adults free. Description: Let your kids go wild with an old-fashioned morning of fun, creative play at Haddo. Build a fort, make mud pies, create your own games, it’s all up to you! We’ll provide a whole selection of play items from logs, sticks, ropes, blankets, balls, water trays, craft items, nature kits and a dressing up box. We’ve got outdoor space if it’s sunny, and room indoors if it’s raining. You just need to bring energy, imagination and some clothes you don’t mind getting muddy! All children must be accompanied by a responsible adult. Drop-in event, no need to book. Description: Join us for a brief talk about bats and their lives over a cup of tea! Then watch the bats fly out of their roost at dusk to start their day! This Bat Evening is aimed at families although we’d recommend it for 7 yrs and above.